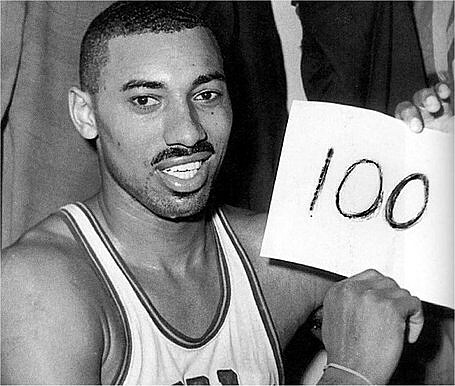 The Philadelphia 76ers announced today that they have obtained the original court on which Wilt Chamberlain scored his historic 100 points versus the New York Knicks on March 2nd, 1962. The historic court was purchased from Hershey Entertainment and Resorts, who had stored the court previously throughout the years. A majority of the court will be preserved for posterity and will be used and displayed at several venues. These include the Wells Fargo Center where the 76ers play, and the Sixers practice facility in Philadelphia as well as in Hershey. In addition, the Sixers will be donating some of the court to the Naismith Memorial Basketball Hall of Fame in Springfield,Massachusetts. Of special note to Sixers fans, to honor and celebrate Wilt’s epic performance on its 50th anniversary, all those in attendance at the Sixers-Warrior game this season will also get to own a piece of history -- as all ticket holders on March 2 as they enter the Wells Fargo Center will receive a specially mounted 2”x2” piece of the actual court on which Wilt Chamberlain scored his NBA-record 100 points. Beyond giving 76ers fans a piece of Wilt’s record-setting court, the 76ers organization will honor the family of the late, great Chamberlain in a special halftime ceremony at the March 2, 2012 game. The Sixers also are inviting some of his friends, former teammates from the 1961-62 Warriors, and others connected to the record-setting 1962 game to join in the festivities that night. Videos highlighting the former great will be played throughout the evening. Chamberlain, who passed away on Oct. 12, 1999, was born in Philadelphia and attended Overbrook High School. He was elected to the Naismith Memorial Basketball Hall of Fame in 1978 and has the second-highest scoring average in NBA history (30.1 ppg), trailing only Michael Jordan by fractions of a point. Wilt was a four-time MVP and a two-time NBA champion.